It is the intention of Houston ISD to obtain the services of one or more qualified strategic communications firms to support the development of a strong messaging framework and communications plan tied to increasing the district’s desire to proactively engage the public and promote the success and achievements of the district. We anticipate the plan will help HISD achieve its communications goals to communicate, inspire, motivate and improve faculty and staff engagement, build pride among students and families, and rebuild trust among its diverse constituents. The work to be performed will present the information in its most compelling form to key audiences including parents, business leaders, institutions of higher education, internal staff, elected officials and policymakers. According to 2017 Facts and Figures, HISD, located in Harris County, Texas, is among the largest employers in Houston with a 2016 – 2017 budget exceeding $1.9 billion. It operates as the largest public school system in Texas and the seventh-largest in the US. HISD serves a population of approximately 214,175 students covering 284 campuses including elementary schools, middle schools, high schools, charter schools, and community-based alternative programs. At a minimum, the scope of services required by the successful firm shall consist of the following: Houston ISD is seeking proposals from interested firms or consultants with specific experience in message development, media relations, community relations, marketing, digital strategy, implementation, project management, and market research. Preference will be given to agencies providing a broad range of services and with experience working within the education landscape. It is the intention of Houston ISD to obtain the services of one or more qualified strategic communications firm(s) or consultant(s) to support the development of a strong messaging framework and communications plan tied to increasing the district’s desire to proactively engage the public and promote the success and achievements of the district. We anticipate the plan will help HISD achieve its communications goals to communicate, inspire, motivate and improve faculty and staff engagement, build pride among students and families, and rebuild trust among its diverse constituents. The work to be performed will present the information in its most compelling form to key audiences including parents, business leaders, institutions of higher education, internal staff, elected officials and policymakers. 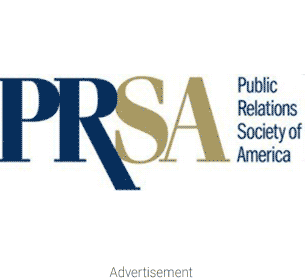 Makovsky PR and Ruder Finn have relevant experience.